Wether you believe it or not, I feel and have shown that yes… we can talk to the dead. Spirits who have not crossed over yet..spirits who are stuck in some sort of limbo and yes, even Angels and Evil entities sometimes. How about spirits who have crossed? Well, it seems that we can also connect with them, at times, though it does take more effort. After almost eight years of doing this work now, I feel I have found some amazing answers to what happens when we die. Now, some of this information I have not mentioned to anyone, as I feel if I spoke about it many would be shocked and some would be upset. But one day I will tell all about the messages, information, and one on one contacts I have made within the spiritual realms. Maybe a book in 2020, we will see. 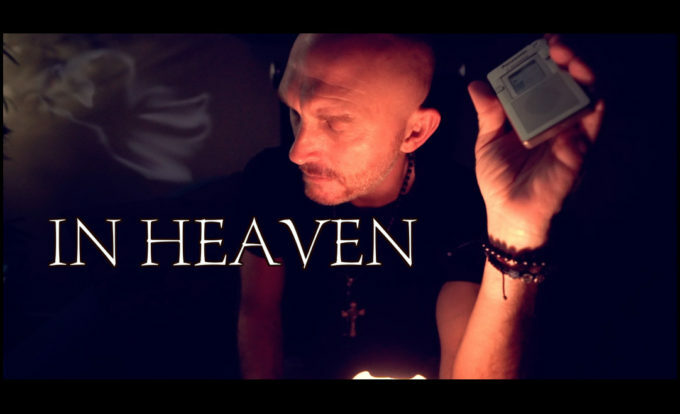 Oh, in case you do not know me yet, my name is Steve Huff and I am a Photographer, Blog owner, Paranormal Researcher and inventor of a few powerful devices that help connect with the dead called THE PORTAL and THE WONDER BOX. After nearly eight years, what I am doing is finally being recognized all over the world. Take a look at the video below which shows what I do. Yes, I am a spirit magnet, and while I make it look easy..it has taken me years of dedication, research, money, time and meditation to get here. I repeat. Nothing I post here is fake, made up or drummed up from a crazy mind. I do not have the time to sit around and fake videos of Paranormal activity. I would never ever do that as it would be childish, dumb, a waste of time and very very silly and in my opinion anyone who fakes paranormal evidence or more specific, spirit communication, deserves a special place in hell as this is not to be mocked. This research is way too important to take lightly, make fun of, or even do incorrectly which is why all I have ever done has been honest, true ad very real research. I have spent so much of my time, heart and soul with it only because IT IS REAL. Besides, as of 2019 what I do and my devices have been proven over and over and over again, and even live for groups where we all articulated in the spirit sessions and received relevant answers. Today my work can not be denied by anyone. It’s time for the world to learn about the afterlife, and according to the spirits, they chose me to do just that as well as guide them. This is real ITC, or Instrumental Trans Communication. I call it SPIRIT COMMUNICATION. That is what I do. Yes my friends, it is all actual fact and evidence. You can choose to open your mind and believe or if you are a non believer that is fine as well. I am not trying to convert anyone to being a believer. Everyone has a right to their beliefs but mine come from actual experience with evidence that I have recorded for all to see and hear (OVER many years). I have also had INTENSE personal experiences, things I never dreamed could be possible that have happened to me and all of my senses..visual, audible and touch. Today I have grown into and become comfortable with my gifts, and yes, today I call them gifts as I feel blessed to be able to have these connections. I have even turned down TV offers because I refuse to ever stage or fake a thing. Unless someone offers me a TV show where I can be me and be real, I will be happy just doing the research here that I was born to do. I know many people, and those who know or worked with me well will tell you I am sane, smart, nice, caring and above all – NORMAL. I also have friends I have made in this field, very few of them, but all good people who take on this research with the same passion that I do. I only work with and welcome friends with positive people in life who take this work seriously. No time for nonsense or negativity in my life. I am very proud of what I have accomplished over these last 7-8 years. Not because I now have over 3/4 of a million subscribers on my YouTube but because the progress that has been made within ITC, mainly due to my devices and research. Not just that I created the Wonder Box and Portal but because I used them to find answers and develop spiritual relationships. This is life changing stuff here guys. Today, as I update this page it is the last day of March 2018. I have been doing this research now for almost 8 years. The last 2 years on an almost full time basis. What I have learned, what I have seen, what I have documented as evidence, when taken as a whole is miraculous. Ever since the beginning of man we have wondered about what happens when our body dies. Do we move on? Is there a Heaven? A hell? I will tell you right now that YES we do, and YES there is. According to the spirit friends I speak with, our soul is energy, pure energy. When our physical body dies here on earth (as it was made to do) our soul leaves and we ascend back to our true home. We are also judged when we arrive and if we were horrible people here on earth, we will be judged and yes, punished. Our whole reason for being on earth is for our soul to learn, to ascend up to higher vibrations and in all honestly, it is about LOVE. When we do ascend up to the highest level, what we would call ‘Heaven” we can then take on other tasks to HELP and to LOVE back here on earth. Spirit energy can and does merge with the living, it is a huge part of how they talk. You may have heard about the world heading into the Age of Aquarius, as we are now doing. Eventually it is said that it will be a time where there will only be love, kindness and peace. Well, as hard as that is to believe today, one day it will be reality, as the groundwork is already being laid for it (with so much negativity coming to a head, which will eventually destroy itself from its own doing, which at that time what is left of the world will be filled with love, unity and peace. It goes WAY deeper than this though, and I will explain one day). This world of love will be far away and not in our physical lifetimes NOW but maybe in another lifetime for us later. Yes, spirits have told me that when our souls ascend home, to GOD, (The Universe) we will either be punished for our deeds here on earth, or we will be assigned to help others who are living here on earth or we will ascend to the next vibrational level. The goal is for our soul to keep ascending, by doing good, and eventually we will reach “Heaven” or “Home” or “The Source” (All the same) which is the source of all souls. Some live there for eternity, and some do good here on earth. We all have our guides here, and it is our job to listen to them. Do you ever get that voice in your head saying “I should not be doing this”? Well, that is your guide trying to help you. Ever since I learned this (It goes much deeper) I have always listened to my “gut” and my “instinct”. Ever since my life has been amazing, stress free, filled with love and yes, life is good. LOVE IS THE KEY. Keep in mind I am not saying these things because it is my opinion. It comes direct from spirit of whom I have communicated with for almost eight solid years. Over those years I have received thousands of messages. Some never published. So this comes from THEM, not ME. As for me, I am not religious. I do not attend church. Those are man made things, and from what I have learned all we need to do assure that our soul is not damned is to live a good life. Don’t cheat, swindle, rob, murder, or hurt others. Simple. If we are good people here, even if we do not believe in a God, we can indeed still ascend to the higher levels of the spiritual realms. I will say this…LOVE is the key. NOT hate, not greed, not selfishness, not anger, not abuse, not killing, not hurting others or animals. LOVE. Remember that. LOVE everyone. Forgive everyone. When you accept love and positivity in your life, it will start to spread and you will see improvements in your life. WE DO in a way, make our own reality. Wake up and complain about work or life and I bet you will have a crabby kind of day. Wake up happy to be alive, set goals and be positive and you will create that environment for yourself, which will be GOOD for your life. Life is not supposed to be about greed. Remember that as well. I have so much information being fed to me now, and it just started this year, 2018. I feel like I am enlightened so to speak. Another amazing side effect of this work, and what I do with spirit. I just have a “Knowing” not only from the messages but from within. I am blessed without question. So here I am and all is well. After some rough patches in 2017 with demonic attacks and hospital stays due to those attacks, I have learned about how to use my guardians, my protectors and how to find the protection from within. I was taught a lesson, and learned it. I am more confident today than ever about my path and why the spirits told me over a dozen times I have been chosen to work with them. It used to scare me but now that I have accepted it I feel it also opened me up more to receive more. I know this may sound crazy to some but yes we do go on after death here. Death here is far from the end as our soul lives forever. I no longer fear death, not at all. I also know I am on the right path, and for those who just say “You are taking to only demons” well, I hate to say this but you have been duped. I am telling you now, I have SEEN the afterlife. I have direct communications. I have years of hard evidence. There are evil spirits and demons but there are also angels, and good spirits who come through. There is good with the bad, the yin with the yang, just as it is here. Just for clarity…I am very spiritual. I believe and know there is a creator, and it is a part of us all. I believe in Heaven and Hell. I believe we are all created equal and no, I am not religious. Religion is man made, and created with an agenda. Religion is not needed to raise our soul to the higher levels. At the end of the day, I am willing to be the guniea pig here for this crazy research as we are closer than we have ever been to something BIG. So stay tuned my friends. Stay tuned. When I was Young…Did I Have Interest in this? YES. I have been connected in some way since I was around 9 or 10. Could have been my two near death experiences, one in which I saw the light, or it could have been just because it was meant to be. When I was young I was fascinated with life after death. I would have my mom take me to the library where I would check out books on ghosts, or other whacky paranormal subjects. When I was a teen I spent 92 days trying to Astral Project, and I did on day 92. It scared me so deeply I never tried again, but I did it and it was so surreal yet amazing. I wish I could go back to that time as I would have continued on. I guess I was not ready. When my Father died in 2000, that night at home we heard knocks, our water faucet came on full blast in the bathroom in the middle of the night, we had odd voicemail recordings on our home phone. We actually fled the house that night and went to my sisters but that was my very 1st experience with paranormal in the real world. I then knew that my entire life’s curiosity about all of this, well, I was being told that we do go on as I felt my Fathers presence there that night and for about 24 hours after we came back a few hours later. When I was young I owned a Ouija board and used it since I was 9 or 10 (and no, not alone as that is impossible. Those who you see using them alone are faking it, sorry but it has always been designed to be used with TWO or more people). Never have I had a bad experience with it, just the opposite. Every weekend my friends and I would use it in my basement (which was my bedroom) and we would do the usual kid things, getting weird answers and having fun. Yes for 40 years I have used a Ouija board. I will repeat, never a bad experience with it as I did not fear it, I embraced it. So through my near death experiences as a Child to my reading books on the paranormal, to the death of my Father, to my Ouija Board use and even into my careers in my 20s, 30’s and 40s I feel I have been in “Training” so to speak, for this, for what I am doing now. I mean, it all adds up. Every job or business I have had in my life, had me learning something that I now use and need within the paranormal. It’s pretty amazing when I think about how it seems I was led down this path. So today, in 2018 I accept this path, this gift or this curse, whatever it may be. I invite you, the world, to follow me on this journey and to witness the realities, the ups and the downs and the evidence I capture. They want the world to see, as it is all part of helping the world LOVE again. See, when we realize there is an afterlife, and a good ad bad place, maybe, just maybe some of us will love more and hate less. Again, all of this will not happen in our lifetime but in the future for future generations. I see the signs, and I have also been told and shown by spirit. This research is nothing to fear and it needs to be seen. So I am doing my best to show it to whoever wants to take it seriously.